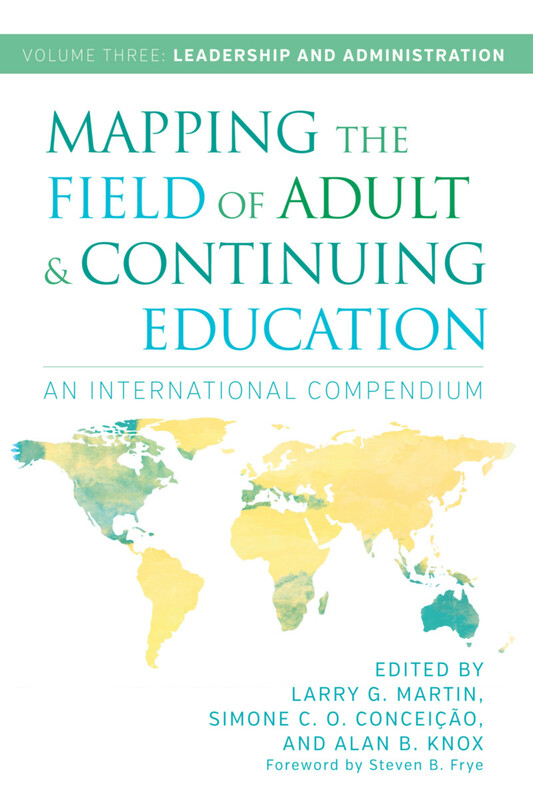 The field of Adult and Continuing Education (ACE) has long been influential beyond its already porous borders and continues to be a source of important ideas, inspiration, and innovative practices for those in disciplines such as educational administration, social work, nursing, and counseling. Recognizing this, the American Association for Adult and Continuing Education commissioned the editors to create this compendium, which provides an invaluable resource to readers already established in the field, those entering the field, and to myriad neighbors of the field as well. The volume on Adult Learners will include articles addressing topics such as adult development, diversity, learning abilities, the influence of personality on learning, and the role of experience in adult learning. By far the largest segment of learners in society, and currently the largest segment of college students as well, a better understanding of the adult learner is vital for educators of all kinds. Volume two addresses Teaching and Learning topics ranging from methods and roles to programs and materials. Encompassing formal and informal learning, as well as the variety of focus and setting, from cultural to occupational, this volume explores the wide range of theory and practice in ACE. Issues of Leadership and Administration such as planning and resource allocation, organizational change and culture, and the value of a shared vision for all stakeholders are addressed in the third volume. From practical matters like staffing and volunteers, to big-picture issues such as alternative visions for the future of the field, this volume offers vital knowledge and insight. The final volume, on Inquiry and Influences, examines the context, trends, and methods of research and evaluation in the field’s many domains. Wide-ranging inquiry has always been a hallmark of ACE, and only continues to grow along with the recognition of the importance of adult learning for learners and for the society as a whole. All four volumes are available as a single e-book, to make the most of the inter-relatedness of the various topics. This version uses live links in the table of contents and combined index (as well as keywords at the start of each article) to enable readers to follow their own topical interests and thus create unique learning pathways for themselves. Larry G. Martin is professor emeritus of adult and continuing education leadership at the University of Wisconsin-Milwaukee. As a faculty member for more than 36 years, he routinely taught graduate courses on program planning in adult education, administration of adult education programs, evaluation of adult education programs, and others. For 20 years he served in a number of administrative roles in higher education. A 2015 inductee into the International Adult and Continuing Education Hall of Fame, he has published three edited books and numerous articles and book chapters. Simone C. O. Conceição is a professor and chair in the Department of Administrative Leadership at the University of Wisconsin-Milwaukee. She received her doctorate in adult and distance education from the University of Wisconsin-Madison and her master's in adult and continuing education leadership from the University of Wisconsin-Milwaukee. She has served on the editorial board of six journals and has published numerous articles in peer-reviewed journals; written more than 20 book chapters; and authored five books on the topics of online education, adult learning, online student motivation and support, and faculty workload when teaching online. Alan B. Knox is Professor Emeritus of educational leadership at the University of Wisconsin-Madison. He continues his scholarly work and staff development sessions for helping professionals through the University of Wisconsin School of Medicine and Public Health office of Continuing Professional Development. He currently lives in Madison, Wisconsin.